It’s important that your horse looks great while also feeling comfortable with what they are wearing. PS of Sweden is one of the best when it comes to bridles, browbands, and other horse accessories that make the riding experience a better and more comfortable one. They manufacture beautiful products, and by reading more below, you can find out why they are one of our favourite companies. In short, PS of Sweden are the best on the market when it comes to products for your horse, and much of that is down to the way in which they work with horses and riders to determine how a product is going to work for them. From humble beginnings, PS of Sweden is still relatively new, and yet they have already made a massive name for themselves. They are also a company that cares about the environment, and the health of the horses and riders they create for. As a result, they ensure that their products are ethically sourced and also have as small a footprint as possible on the planet. Additionally, they do not use chrome in their tanning due to the allergic reactions it can cause horses and riders. We always aim to work with the best and most innovative companies, and at Philomena London, we are proud to be one of the few UK stockists to carry this superb brand. What Makes Them a Great Brand? Quality is key, and PS of Sweden always ensure that they use the best quality materials when they manufacture their bridles, saddle pads, and other equestrian products. Plus, each product that they design goes through a testing and design phase of 10-months to ensure that the finished result is flawless in every sense of the word. They also ensure that products are not out of everyone’s price range, and have a great selection at a variety of prices so that everyone can benefit from using their products. Whether you are in search of a new bridle or a set of good quality polo wraps, there is something that is going to suit you perfectly. PS of Sweden is a brand that understands the equestrian lifestyle, and this is because their team is composed of those who ride and those who adore horses. They understand what you, as a rider, need and also what your horse wants. The PS of Sweden Prune Polo Wraps are beautiful, and they made from anti-pilling fleece that is and comfortable when wrapped around your horse’s leg. Plus, they come in 3.5-metre lengths so that you can cut them down to size if required – and they match perfectly with the saddle pad range we have. The PS of Sweden Flying Change Bridle is one of the most anatomical on the market, and one that your horse will find incredibly comfortable to wear while being ridden. It has been designed with careful consideration of your horse and the location of their cheekbones and nerve endings. Plus, the browband can be swapped out at will. The PS of Sweden Browband Raven on Black Leather provides a stunning look with a simple design. It provides a beautiful alternative to the regular browbands that come with bridles and has been made with a selection of black and white crystals. It’s the perfect accessory for any horse, and you can view the rest of our browband selection here for more colours and designs. We hope that this has given you a little taste of what you can expect from PS of Sweden, and that you can now see why they are the masters of their craft. With everything from saddle pads and bridles to grooming kits, they have all you need to keep your horse looking and feeling amazing. Make sure you visit our website for more Equestrian Stockholm items, as well as a great range of products for you and your pets. Whether you have one of their gorgeous saddle pads or a stylish coat, Equestrian Stockholm is one of the top manufacturers of all things Equestrian. They provide excellent quality products for both horses and their riders, and if you haven’t heard of them yet, now is your chance to learn more about the company as well as some of the beautiful products we have in stock for you to choose from. As a company, Equestrian Stockholm has always strived to produce products for both horse and rider that are comfortable, practical, and also fashionable. Inspired by strong women and equestrians, they work closely with focus groups and the riders on their team to continue to produce the best possible riding wear for use in the stables and socially. They also ensure that their products are made with the environment in mind, so that they have as little impact as possible. Plus, they do not use things like down or fur in any of their products, meaning that you don’t need to worry about any animals being mistreated. As a company, they have limited distributors around the world, and at Philomena London, we are proud to be one of the few UK stockists to carry this superb brand. One of the things that make Equestrian Stockholm such an excellent brand is the fact that their products come at such a reasonable price. Considering the excellent quality and the fact that both the human and horse items are sure to last you some time, the price range really is superb. They also design and manufacture each product with the horse or rider in mind. With careful attention to detail, each saddle pad and ear net will fit like a glove, and the coats that they produce will flatter your figure while also keeping you wonderfully warm. Most importantly, however, is the fact that they care. Not just about the environment, but also about the animals and people that they are creating for. The team is made up of animal lovers, of riders, and those who want to make equestrian life more comfortable and easier for everyone. The Equestrian Stockholm Midnight Blue Jump is a beautiful saddle pad that has received a lot of interest. Dirt repellent, you can rest assured that it will keep looking gorgeous for some time before you need to think about washing it. Comfortable for your horse, it’s perfect for a day of training. Plus, there is even a dressage option in this gorgeous colour. The Equestrian Stockholm Royal Classic is one of the most popular dressage saddle pads we have in stock, and for good reason. It is absolutely stunning, and sure to leave your horse looking like royalty while you are training or in a competition. Shiny and dirt repellent, this gold detailed saddle pad is truly one of the best (and most beautiful). The Equestrian Stockholm Black Softshell Jacket is the ultimate riding jacket, and one that can be worn across all seasons without any issue, while also ensuring that you look amazing. It will keep you warm in winter, while also being breathable during the spring months. Plus, it is water and wind resistant – ensuring that you can withstand riding in all weather conditions. The Equestrian Stockholm Dressage Breeches are new to our website, but we can assure you that they are some of the most comfortable we have ever owned. These stylish breeches come in black and are made from 4-way stretch fabric for the perfect fit. The seat features a silicon grip to keep you in the saddle, and the waistband is anatomically designed. We also have the option for jump breeches, and you can find those here. Hopefully, this has shown you just how beautiful Equestrian Stockholm’s products are, and we are sure that you will find their saddle pads and clothing range work wonders for both you and your horse. Make sure you visit our website for more Equestrian Stockholm items, as well as a great range of products for you and your pets. In your home, there are a few basic things that you are going to need for your dog. Without these items, you won’t have the right tools to not only care for your pooch, but also to train them. At Philomena London, we strive to provide as many products as possible to make your dog feel right at home. In the Doggy Handbook series, we will be looking at some fantastic training tips, the essential products, and also some great guides on activities and days out that are completely dog friendly. This first chapter will take a look at some of the basic items you need for your dog. Of course, every dog needs food and water – but they also need a bowl for each as well. There are so many different bowls to choose from, as well as a wide price range so you don’t need to feel pressured into spending a fortune. We have bowls ranging from £4 to £60, so make sure to check out the section on our website here. We also have a great range of food and treats from the Natural Dog Food Company, which is made from completely natural ingredients for a better and healthier food. Plus, dogs absolutely love it. Make sure you stock up on the treats – they will be essential for training! Every dog needs a comfy bed to sleep on. After all, chasing rabbits all afternoon and playing with friends can be exhausting work. So when the day comes to an end and it’s time to settle down, dogs want somewhere soft and warm to curl up for the night. We have a fantastic range of dog beds available from Charley Chau and John Whitaker, so that your canine companions can have sweet dreams and a comfy rest. Check out our selection here. The dog walk is the part of the day every pooch looks forward to the most. When out on the field or in the dog park, they want to look their best, and what better way to express that than with a fantastic new collar and lead? We have an absolutely amazing range of collars and leads available from a range of designers – including us! If you are looking for something low cost but with amazing designs, then Sweetpea and Boo are the ones you should look at. On the other end of the spectrum, you can take a look at our own line of collars with Charlotte Dujardin that are made from soft English leather. Plus, we have everything in between, with brands like Pioneros and Simba Jones. Take a look at our entire range here. Toys are so important to dogs, both as a form of entertainment but also distraction. We have a great range of Beco toys available, which are made from all natural material and also incredibly durable. The plush toys are double stitched and we have a great character selection, as well as three sizes so that every dog can have one. The rubber bones and balls are really tough, perfect for dogs who like to have a good chew. Plus, the fact that they are all natural means that if they tear a chunk off of one of the bones there is a lot less panic is it ends up being swallowed. Every dog needs to poop on a walk, and often people are reluctant to clean it up because of the impact on the environment that plastic bags have. Well, we have the answer to your concerns in the form of the Beco eco-friendly poop bags. It only takes a matter of weeks for these to start decomposing and they are 100% biodegradable, so there are no negative effects on the environment. Plus, they come in two sizes – so the bigger dogs are accommodated for. At an affordable price and with the option to buy an eco-friendly poop bag holder, these are a great buy and essential for any dog walk. Take a look here. At Philomena London, we aim to provide everything we can for your canine companion. We know they are important to you, and so we always ensure that our products are the best possible quality. Hopefully this guide has given you some insight into the basic items you need for your dog, especially if you are about to rescue one or buy a puppy. With so much to offer, we’d love for you to visit our website and check out some of our great doggy products. When it comes to dogs, for many the most unpleasant part is the picking up of their ‘mess’. It’s not only a legal requirement for you to pick it up, but it’s also more pleasant for others walking in the area, whether they have canine companions or not. Of course, most poo bags are made from plastic and with the recent charge for plastic bags and campaigns to reduce our plastic use to help the environment, it can lead you to wonder if picking up the poo really is beneficial, especially to our planet. Well, you don’t have to wonder much longer. Our favourite company for all things environmentally friendly, Beco, have the answer. Made from corn starch, the Beco poo bag only takes 90-120 days to decompose in a landfill, a shockingly lower number than the 20-1000 years it can take a plastic bag. The Beco poo bag is much tougher than the standard ones you’ll find on the shelf, which means goodbye to the dreaded times when your finger goes straight through the plastic as you go to pick up the poo. We’ve all been there, it’s horrible. Their added toughness makes them perfect for handling all sized poos, especially the bear-sized ones we find in our larger canine friends. Like all Beco products, they are affordable too – starting at only £4 for 60 poo bags. Or, to save even more, you can buy 300 bags for £10, a great price for something so helpful to the environment. Even better, you can purchase a Beco poo bag holder in addition to the bags so that you have something to keep them safe. Of course, the Beco poo bag holder is also made out of natural materials – being bamboo and rice husk- and is biodegradable, with a lovely vanilla scent. Not only this, but they don’t use the regular, slightly irritating, fragile clips that are often used on bag holders, they instead use the clever bungee system which tightly clamps the bag holder onto a dog lead, prams, even your belt. Refilling the holder is also incredibly simple, just unwrap the bungee and the two halves of the holder will come apart, it couldn’t be easier. At only £6 it’s something you can’t miss. Helping the environment has never been easier with Beco, so stop using those standard plastic poo bags and switch the Beco version for something that is thick, reliable, and biodegradable. In fact, we recommend switching to Beco for a lot of things, from pet bowls and even to their toys. We can all help make a difference, even our pets. I’m sure many of you have heard of Alabama Rot and it’s occurrence in the UK over recent years. While the number of cases have remained small, it is still a disease worth looking out for. Alabama Rot often leads to fatalities in dogs, so please take a moment to read this post which explains the disease and also gives advice on how to try and prevent it. Alabama Rot was first discovered in the USA in 1980, and primarily affected Greyhounds. However, especially after its arrival in the UK, it has been discovered that the disease can affect any and all breeds of dog, and so far the disease has been found to only exist in dogs with no other animals contracting it thus far (including humans). While the number of the cases in the UK are quite low (around 60 cases between 2012 and 2015) the fatality rate is 9/10 and so is not something to be taken lightly. While the last thing anyone should do is panic, it is important to be aware of the seriousness of the condition so that any suspicions that your dog may have contracted it are reported immediately. Currently, the cause of Alabama rot is unknown. There are several symptoms of the disease that present themselves in dogs. While some of these symptoms may also be related to different conditions it is advised that you stay on the safe side and get your dogs checked out at the vet. The average time between skin lesions and kidney failure is around three days so it is imperative you get your dog to the vet in this window. While it can be difficult to distinguish lesions from cuts and other wounds, it is advised that you take action even if you are only a little concerned. As the disease is rare, most vets will not know how to treat this illness and so it is worth either calling or getting referred to the Anderson Moores Veterinary Specialists. They have extensive knowledge of the disease and have dealt with the majority of cases. They are also an amazing practice, our experience with them when Inky was sick (with an unrelated illness) was amazing. While there is no vaccine for Alabama Rot and no known means of cause or prevention, there are a few things you can try and do to help to protect your dog from the disease. The main thing you can do as an owner is keep a close eye on your dog while walking to monitor anything they may pick up, chew, or eat on their walks. If they become ill, call a vet as soon as possible and provide clear and accurate details of the illness. It is advised that you try to avoid walking your dog in forested areas if possible, as this is where the disease is often contracted, however there is no certain evidence that the disease is based on environmental factors. So far, cases have occurred as far apart as Cornwall and Yorkshire with a spike of cases appearing in the New Forest in 2013. Recently, Gloucestershire was also affected along with Northern Ireland. The disease is currently thought to be picked up on muddy paws and legs so it is strongly advised that you give your dog a thorough wash after a mucky walk. This may help prevention of the disease. While the disease can be contracted all year round, the vast majority of cases occurred between November and May. This suggests a possible association with winter and spring, but unfortunately we still have no certain evidence. The Alabama Rot website is excellent for updates on recent occurrences of the disease and also for giving advice on what to do if you are afraid your dog has contracted it. We highly recommend that you follow them and their reports so that you can stay updated on news about Alabama Rot in your area and any signs that a cause or vaccine may have been discovered. Please also be sure to keep Anderson Moores Veterinary Surgery’s details to hand in case you should encounter the condition, as they are specialists and know how to best treat the condition. There are many dogs who have survived Alabama Rot, if you are even a little afraid that your dog may be sick with it then please do not hesitate to get veterinary advice. Please note that we at Philomena London are not veterinary professionals, and while we do our best to gather reliable sources information may not always be 100% accurate. Choosing a collar for your dog is an important part of dog ownership. There are many different types of collar and they serve different purposes. Here, we will go through a few of the different collars and how they can benefit your dog. The Martingale collar is also known as a limited-slip collar. It is designed for dogs with narrow heads such as Greyhounds and whippets (as well as other sighthounds). It consists of a length of material with a metal ring at each end with a separate loop of material passing through the two rings – this is where the lead is attached. When your dog tries to back out of the collar it tightens around the neck, but will not choke him/her. This makes it an excellent alternative to the inhumane choke chain and pinching collars. While it is traditionally used for sighthounds, it can also be used for dogs who are prone to slipping out of their collars. The standard collar is as it says. It’s not made to stop your dog slipping nor does it have any special attachments. They are made for comfort and style and are the most commonly used dog collars. They come in a massive range of colours and styles, such as the Love My Dog collars found at Philomena London. Made from Harris Tweed they are lovingly made in the UK and give your dog a stylish appearance while allowing them comfort during use. Find these and our range of comfy standard collars here. It can be difficult to train dogs that are deaf, and this is where the vibration collar comes in. If your deaf dog cannot hear your voice or a clicker then it is worth investing in a vibration collars. These collars are controlled by a button that will cause the collar to vibrate when pressed. As a result it assists in training your dog to respond to commands via vibration. 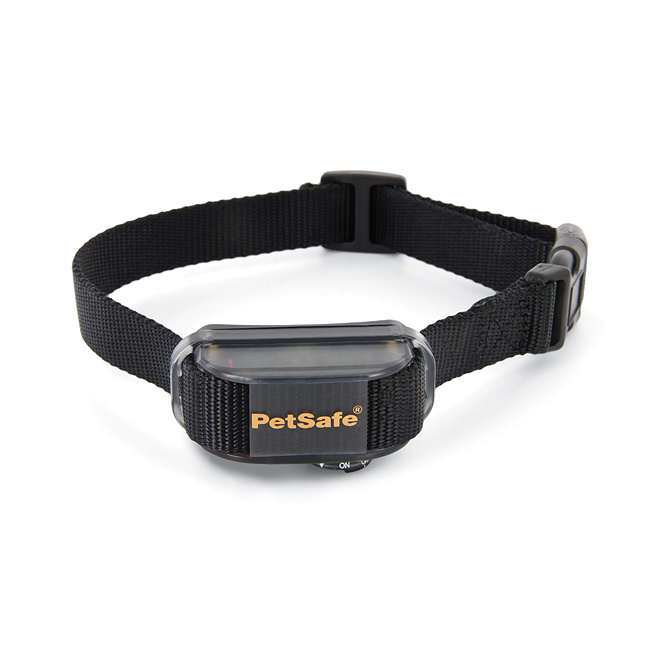 If your pet gets lost or runs away they are easy to find if they are wearing a GPS collar. Using global positioning satellite technology you can track your pet from your phone and find them with ease. This type of collar has had an excellent success rate when it comes to locating and retrieving run away cats and dogs. Finally, we have the harness. The harness straps around the dog’s chest and behind the front legs. It’s particularly useful when it comes to powerful dogs that tend to pull as it puts less stress on their necks and instead pushes against the chest, which can make it easier for you to hold them but also for the dog to learn better lead walking. Often harnesses are padded on the underside which provides an excellent level of comfort for them while they are out walking. Harnesses can also make it easier to grab your dog when you’re trying to catch them! Don’t forget to check out our wide range of dog and cat collars on our website. Thanks for reading! It’s been said that the way a person sleeps can be indicative of their personalities, and it so happens that the same is true for our canine companions. Your dog’s sleeping position can actually tell you a lot about a dog’s personality, and we tested it on our three to see if it actually gave accurate results. It did, and now we’re here to share this fun information with you. Inky the Side Sleeper. He uses his paw as a pillow. So many dogs love to sleep on their side. This is considered to be a peaceful, rested position. If your dog tends to sleep on the side, it means that they’re incredibly comfortable with their surroundings, are secure with themselves, and are in not high-maintenance animals. This position allows for peak comfort and an incredibly good rest. Dogs who sleep in this position tend to be very laid back, easy going, and fiercely loyal. When it comes to our dogs, this is definitely Inky’s favourite sleeping position. The nutshell. Image from Huffington Post. The curled-up position is probably the most common for dogs who sleep outdoors. Their paws will be comfortably tucked away under their bodies, and the tails will wrap all the way round until it touches the face. By curling up, your dog is naturally conserving their body heat and protecting her limbs, face, throat, and all vital organs. However, this sleeping position does not allow for a very restful sleep as the muscles remain very tense. Dogs who sleep in this position are gentle, easy-going, and have a naturally sweet disposition. When it comes to our dogs, Finn tends to sleep in the nutshell position and he is one of the sweetest dogs we know! Philomena sleeping like a Superdog or Pancake. Many dogs sleep on their stomachs, but the Superman dogs are a whole new level of adorable. With all of their four limbs stretched out and heads level on the ground, they look like they’re flying through the air, or a bit like a pancake. This position makes it easy for pups to spring up and get moving, as soon as you call them, or as soon as they’ve woken up. Pups who sleep in this position are super high-energy and very easily motivated. Of our three, Philomena tends to sleep in this position and it’s certainly true that she is a dog who is incredibly energetic and ready to go! The Flake. Image from Google. Even though this position looks slightly odd, it’s nothing to be concerned about — this just means that they’re very confident and secure with themselves, and with their home environment. This makes sense considering sleeping on the back translates into being the most vulnerable position for a dog. As a result, this position is seen most commonly in dogs that sleep indoors. Dogs who assume this sleeping position usually tend to be very laid-back and often have an independent streak. A pooch in this position is an incredibly happy one! Belly Curl. Image from Google. Many dogs choose to sleep on their tummies in almost a “down” like position. Not only is this a comfortable position but it also enables them to be ready to pounce to their feet at any form of threat or opportunity for fun. Dogs that sleep in this position may not be as relaxed, since the muscles are still too tense to enable them to drift into the REM stage of sleep. Don’t worry though, this doesn’t mean that your pup isn’t relaxed in real life. Dogs who curl up on their bellies while they sleep tend to be very gentle, but slightly timid and shy. Passed Out. Image from Google. Many dogs who sleep indoors opt for this position. A dog will lie on its back in order to help themselves cool down as quickly and efficiently as possible. Most of the time, dogs who have used up a lot of energy during the day, or who are overheated, will sleep flat on their backs. In addition, really happy, secure, and relaxed dogs will tilt their legs in the air during their sleep. Dogs who sleep in this position are highly confident in themselves, and they also tend to be very adaptable to different and new situations. Finn and Philomena enjoying snuggles. When a dog wants to feel close to another dog or human they create a stronger bond with each other by sleeping back to back or even just simply touching. This shows great trust and loyalty to each other as they’re not only showing affection but also protecting each other. Our three love to sleep like this and they are incredibly close. It’s lovely to know that they can strengthen their bond even in sleep. How does your dog sleep? Let us know! Information from Bowow Times and Dog Sleeping. The holiday season has, sadly, come to an end. With the new year come resolutions and the inevitable diet and exercise regimes from indulging just a little bit too much. Of course, it often goes that pets have a little too much to eat as well over the Christmas period and so your exercise regime also becomes theirs. As a helper to you and your pet, we have compiled a little guide to help you and your pet get fit not just over the new year but in general. Every dog needs a walk at least once each day. Taking your pooch for an hour long trot is incredibly beneficial for both of you. Your dog gets to run and work off some of their energy, and you get a low level cardiovascular workout. Not only that, but you both get to socialise with other dogs and owners – which is great for your mental health and your dog’s. If you get bored of the same walking spot be sure to mix it up and find new and exciting places to explore. Beaches and woodland are great in terms of a change of scenery but also exercise (especially the beach, walking in sand is hard work!). If walking is a little too slow paced for you, or perhaps you are looking for the next step then give running with your dog a try. There are so many places to run, from open fields to quite riversides. In fact, when it comes to riversides it can be an ideal place for you to take a rest and let your pooch have a swim – swimming is incredibly good exercise for your dog. It’s excellent cardio for you, and it’s a lot of fun for you both. Agility training is active and fun for both you and your dog. It presents a mental and physical challenge for your canine companion, and it’s one that many of them enjoy. There are quite a few agility centres across the country where you can train your pet and it makes an enjoyable activity. It’s great for that extra physical activity but also makes a brilliant bonding exercise between you and your dog as you improve on communication and teamwork. It may seem like the most obvious one, but it is important to stress the important of a healthy diet – both for humans and animals. While you may be cutting out the junk in your diet, make sure you are doing the same for your pet. Are you prone to feeding our dog the slightly more than occasional treat? It might be worth giving the Natural Dog Food Company’s natural dog treats a try. Chicken flavoured and shaped like little hearts they make a good and healthy alternative to general doggie treats. You can find them here. Of course, however, be sure to give your dog treats in moderation! We hope that 2016 has started wonderfully for you and that these little tips for you and your dog have been of help to you. Hopefully you all had a wonderful Christmas, and your pets were spoiled rotten (just like ours). After the joy and warmth of Christmas Day, the preparations for New Year’s celebrations begin, and I’d like to take the time to talk to you about the ways in which your pet can stay safe during the celebrations. Below are things you can do to reduce stress and keep them happy while you party. The main thing that causes pets stress during New Year’s celebrations are the fireworks. They can cause incredibly high levels of anxiety and so it is important to take some precautions before the evening celebrations begin. Take your dog for a long run or walk before the evening festivities. Play fetch or have them run around to really work off that energy. Our dogs respond really well to flyers so it’s worth giving them a go. The more tired they are from the walk, the more likely they are to sleep through the noise from the fireworks. When it comes to your cats you can try playing games with them with a cat wand or a laser pen – most cats love the laser pen game. They will be tired out in no time. Keep your cats and dogs indoors during fireworks. If they are outside and unattended during the celebrations there is a chance that they will escape through fear and stress. When it comes to cats it’s best to keep them inside as the noise can lead them to running away and hiding, many cats go missing every year as a result of them getting lost and disorientated during fireworks. If you are having the party at your house then be sure to keep your cat or dog confined to a safe room in the house where guests are unlikely to accidentally let them out. By giving them a room to be confined in you are reducing the chances of escape through fear but also decreasing stress levels. So many dogs go missing every year after they run away through fear. Feliway and Adaptil are pheromone diffusers, for cats and dogs respectively. The release of pheromones helps to calm and de-stress pets and are often used during fireworks. Generally, Feliway and Adaptil are incredibly effective and really help when it comes to keeping your pet calm, all you have to do it plug it into the wall. If your pets gets very anxious during fireworks it is definitely best to give this a try. As a final note, it is important to remember to watch what your pet is eating. No doubt there will be a delicious array of snacks for you and your guests to eat throughout the night, so be sure to watch your cats and dogs to make sure they aren’t eating anything that is potentially dangerous to them such as nuts, raisins, and chocolate. No one wants to rush to the vet on New Year’s Eve. We hope you have a safe and happy New Year’s celebration tomorrow night. We at Philomena London wish you all the best for 2016 and thank you all for your support over the past year and look forward to seeing you again in the new one!